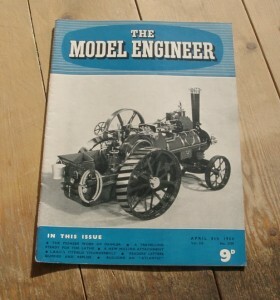 April 8th 1954 Edition of the British Magazine, Model Engineer. This issue has articles on the pioneer work of Daimler, a travelling steady for the lathe, a new milling attachment, L.B.S.C.’s Titfield Thunderbolt, a 1 1/2 in. scale Burrell-type traction engine and building an “Atlantic”.